Register here to Download countless books at lightning fast speed without waiting!! 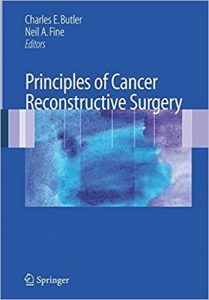 Principles of Cancer Reconstructive Surgery is a reference text for medical and surgical oncologists, radiation oncologists, family practice physicians and dermatologists, providing an overview for reconstructive procedures. Interested residents, medical students and health care professionals may find this to be a resource for information on reconstructive plastic surgery. It is designed to educate those involved with the management of cancer patients and serve as a reference source. The disease specific format facilitates quick reference for those who wish to focus on a single body area or disease. The most commonly occurring cancers, breast, melanoma, head and neck, are covered in an overview chapter and in greater detail in individual chapters. This volume includes nearly 300 color illustrations and the 7×10 format give the reader excellent detail and clarity. This website strictly complies with DMCA Digital Copyright Laws.. Please be clear that we (emedicalbooks.com) do not own copyrights of these e-books. The intention behind sharing these books and educational material is to provide easy access to medical students, doctors and other individuals related to the field of medical science, "thus only for educational purpose". We highly encourage our readers to purchase this content from the respected publishers. If anyone holding copyrights wants us to remove this content, please contact us rightaway. All books and educational material on emedicalbooks.com are free and NOT HOSTED ON OUR WEBSITE. If you feel that your copyrights have been violated, then please contact us immediately. You may send an email to emedical1521@gmail.com for all DMCA / Removal Requests. emedicalbooks.com doesn’t have any material hosted on the server of this page, only links to books that are taken from other sites on the web are published and these links are unrelated to the book server. emedicalbooks.com server doesnot store any type of book or material. No illegal copies are made or any copyright © and / or copyright is damaged or infringed since all material is free on the internet.